Iron City has been maintaining its core family values since 1928 while consistently providing the best customer care, product quality, and response time in the industry. 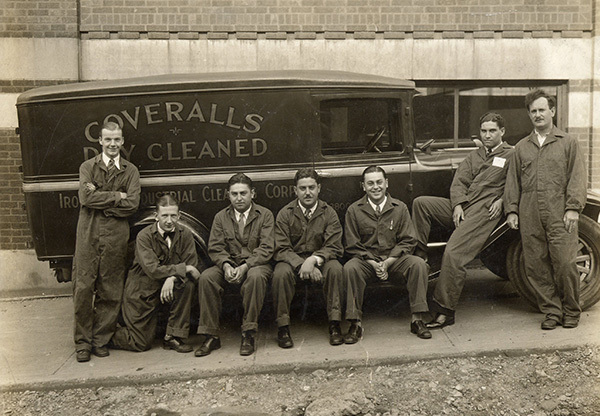 What should you expect from an 86-year year old local, family owned company? Founded in 1928, and entering our 5th generation, Iron City Workplace Services will continue to represent your local community into its 85th year of operation. Our customers have allowed us to remain a staple in the local community for a long time. We look forward to partnering with you and exceeding your expectations. Communication flows quickly when your owner’s door is always open. Customer Care is our absolute top priority. We take pride in our Customer Care process, and only promote experienced service managers to the position to ensure prompt responses and resolutions. Our current Customer Care Manager, Bill Wiegand, has 18 years of industry experience! You will always be able to talk to Bill or anybody in our organization directly. We are always striving to improve our operations. We constantly are looking to invest in new technology, like RFID Chipping & Barcoding, to better service our customers. Experience our industry leading RFID technology, where we conceal an RFID chip into every garment, to ensure 100% accuracy and accountability in your deliveries. This eliminates shortages and provides you a seamless and transparent delivery. Access your Customer Log-In Portal to view Account Information or ask to see your personalized RFID garment reports at your convenience. We have nothing to hide, and believe in our fully transparent approach. View invoices and reports, as well as submit requests to our Customer Care Center at your convenience. You will get used to the familiar faces of our experienced and knowledgeable workforce. You will know who to call, and there will be no confusion when it comes to handling a service request. Access your Customer Log-In Portal to view Account Information or ask to see your personalized RFID garment reports at your convenience. We have nothing to hide from you. You will always receive the most ethical, loyal, and trustworthy service from us. We have nothing to hide on our invoices or RFID reports, and believe in a transparent business operation – one of the Core Family Values that we live by. We take pride in building careers for our local community members, and we request each of our employees to do business with our customers – partnering to reinvest money into our local community and to support the local economy. We are proud to be industry innovators concerning the environment. We have invested in a natural gas filling station and a state-of-the-art, fully OSHA compliant, waste water treatment facility. We strive to support our local environment through Green Initiatives. Whether it’s donating to local charities or providing the animal shelters with floor mats, Iron City Uniform takes pride it supporting its local community.